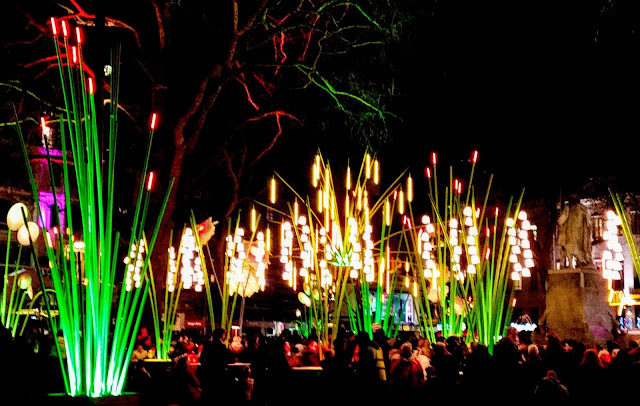 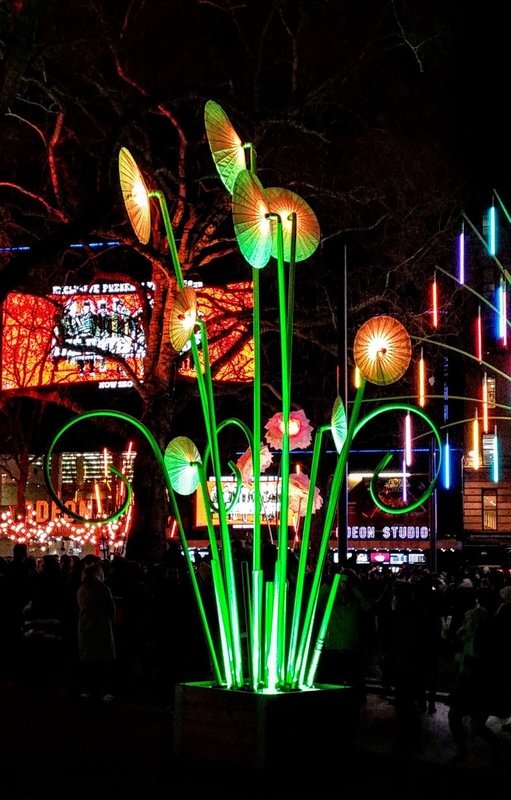 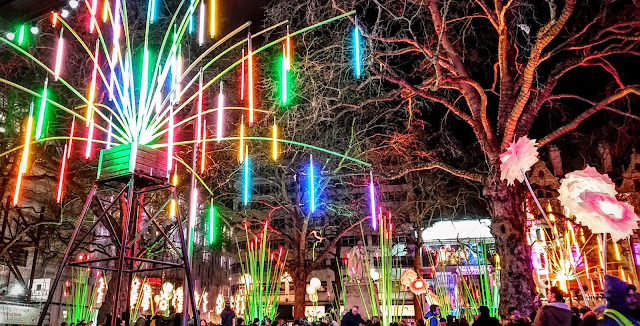 Garden of Light by TILT, Leicester Square. 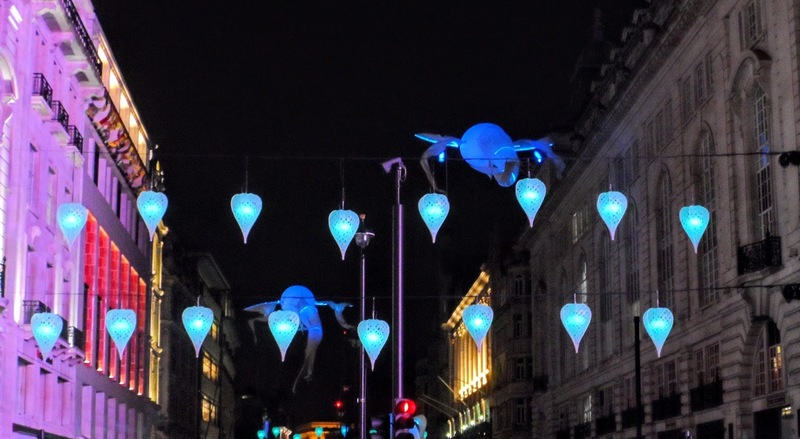 Les Lumineoles by Porte Par Le Vent, Piccadilly. 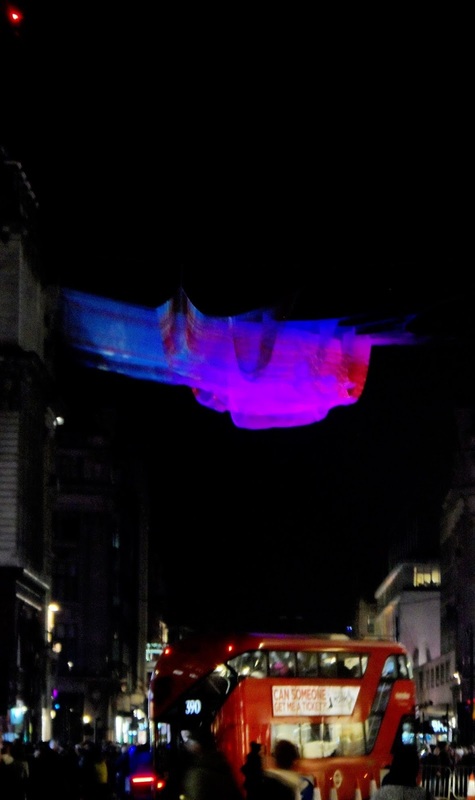 1.8 London by Janet Echelman, Oxford Circus. 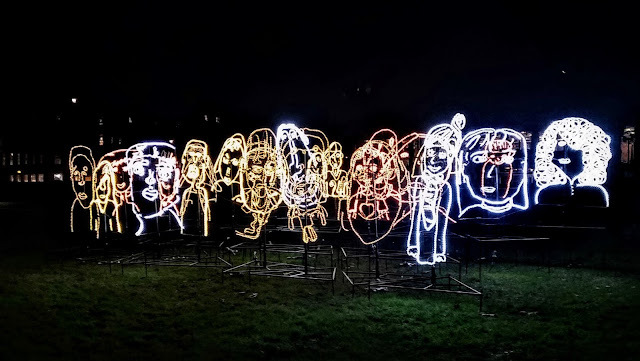 Brothers and Sisters by Ron Haselden, Grosvenor Square. 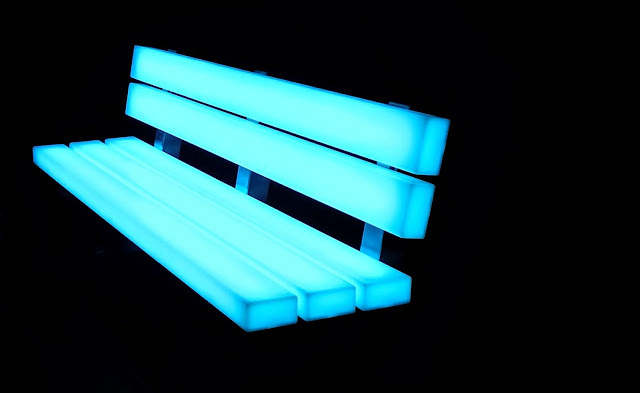 Lightbench by Bernd Spiecker, Grosvenor Square.